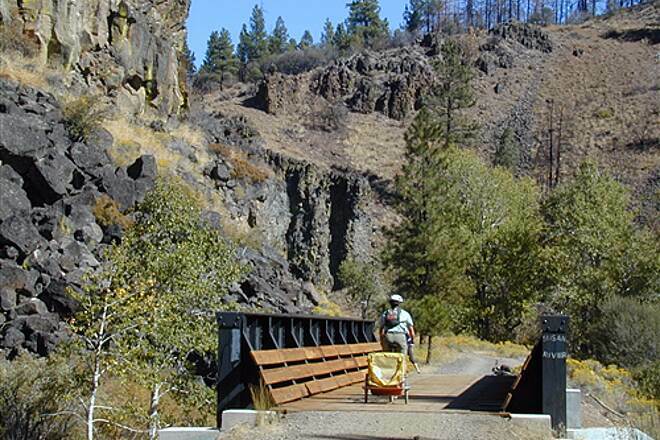 The spectacular Bizz Johnson National Recreation Trail runs between Westwood and Susanville in Lassen County. 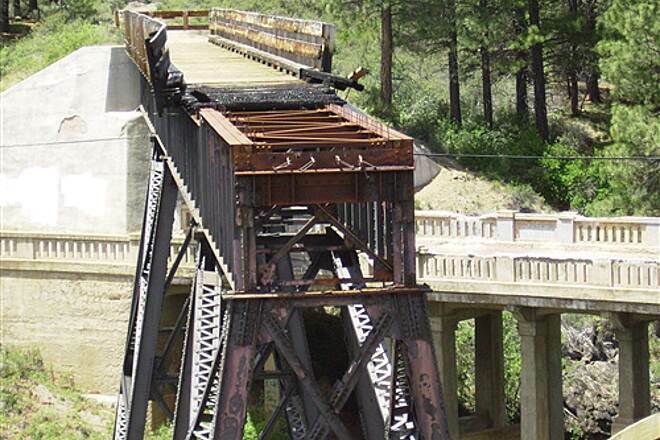 It cuts through the thick woodlands of the high country into the awesome Susan River Canyon, passing numerous historic sites such as tunnels and trestles along the way. 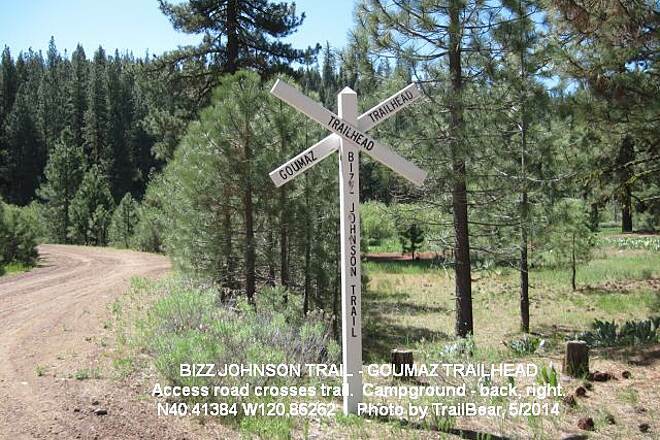 Bizz Johnson Trail follows the route of the old Fernley and Lassen Railroad line, which was established in 1914 for transporting logs and milled lumber to and from the Westwood Mill. 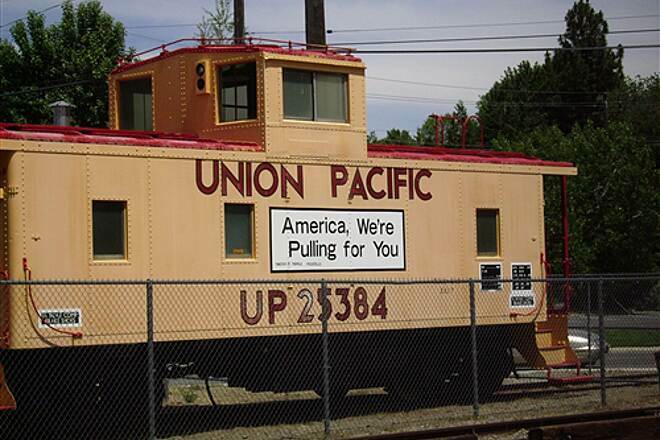 The mill closed in 1956, and in 1978 Southern Pacific Railroad received approval to discontinue use of the old line. 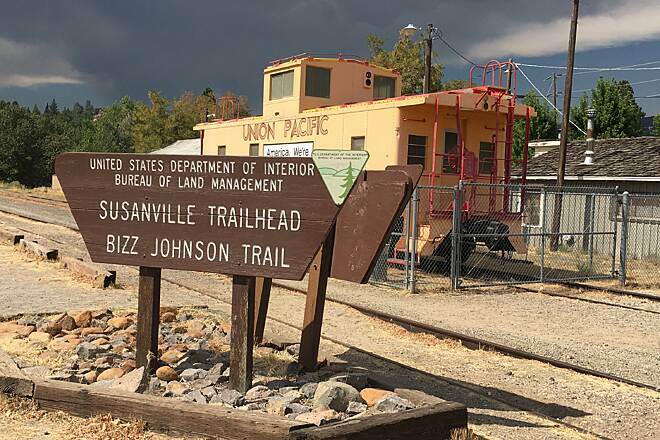 The Bureau of Land Management spearheaded conversion of the corridor to a trail, and former California congressional representative Harold T. "Bizz" Johnson, who served in the House of Representatives from 1958 to 1980, was instrumental in establishing the segment as a rails-to-trails conversion for recreational use. 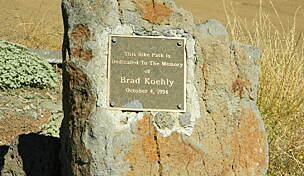 The trail is named in his honor. Heading from Westwood to Susanville, the route is mainly flat or slightly downhill. 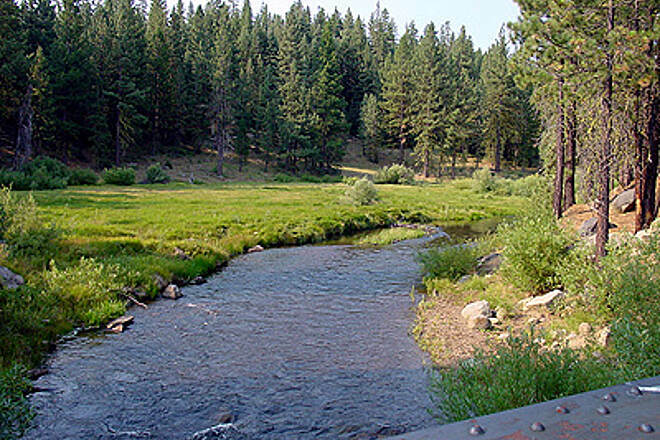 You are surrounded by open forest for the first 4.5 miles and then you follow the Susan River for the last 16 miles. 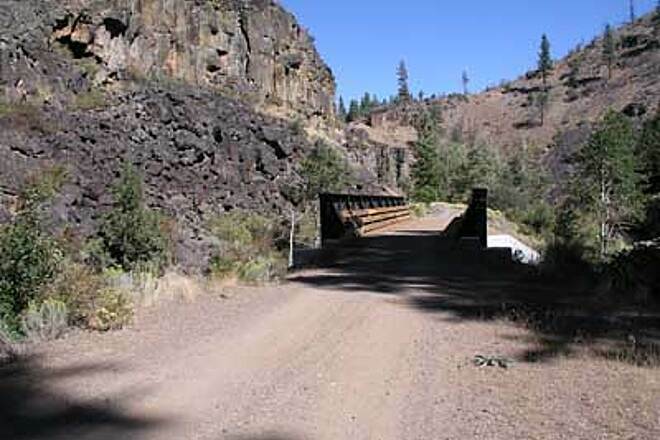 As it winds through the rugged Susan River Canyon, the trail crosses the river 12 times on bridges and trestles and passes through two tunnels. 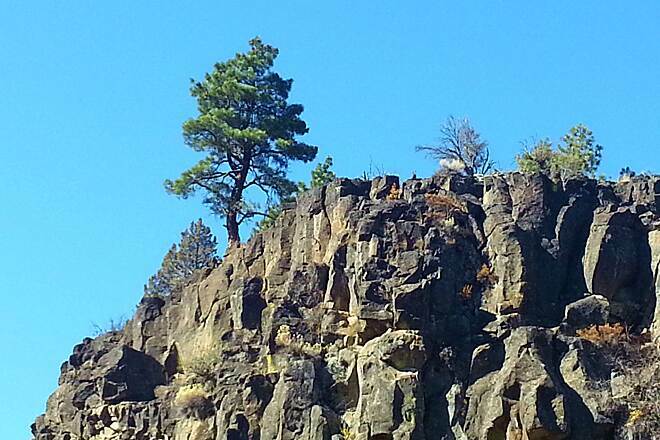 The landscape is a combination of semiarid canyon and upland forests of pine and fir. 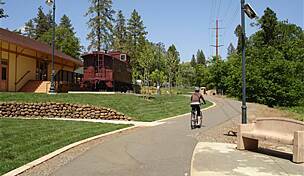 Beyond the canyon the trail follows existing roads an additional 4.5 miles into Westwood, where a railroad station-type kiosk and—oddly—a 25-foot carved redwood statue of Paul Bunyan mark the Westwood trailhead. 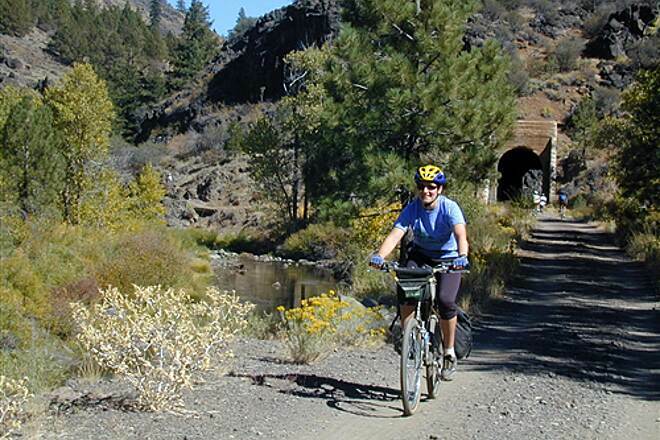 In the spring and early summer trail users can hike, mountain bike and horseback ride on the Bizz Johnson. 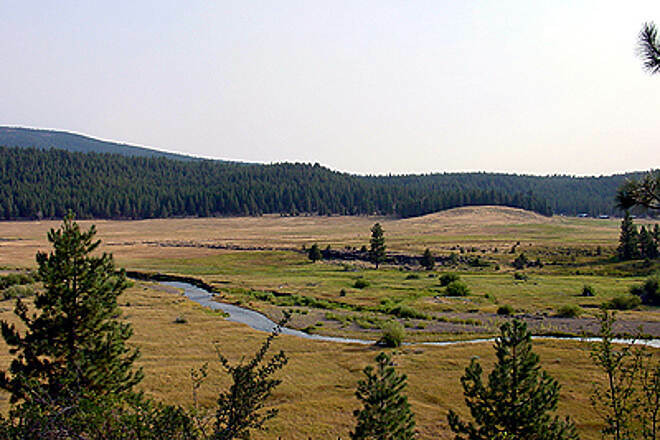 Another highlight is camping along and fishing in the Susan River for rainbow and brown trout in the spring and early summer. 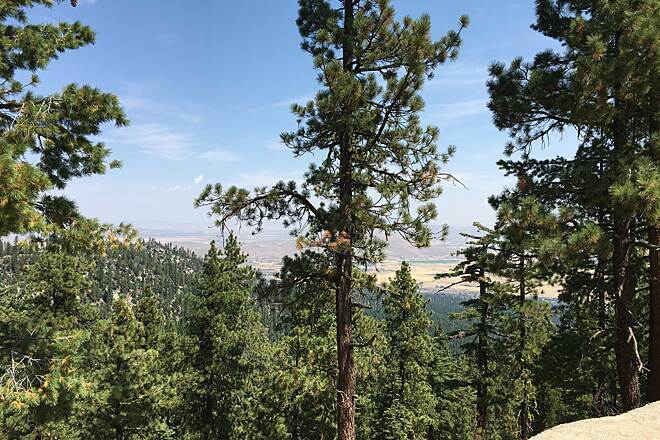 You can camp along the trail on Bureau of Land Management and U.S. Forest Service lands for up to 7 days unless otherwise posted. The camping is primitive and permits are required for campfires. In the winter 18.5 miles of the trail are open for cross-country skiing. 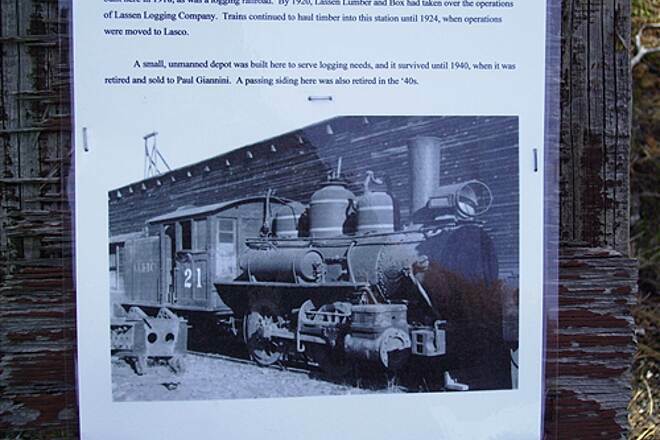 If possible, plan your visit to coincide with Lassen Land and Trails Trust's annual Rails to Trails Festival, which takes place at the Trust's historic Susanville Depot the Saturday of Columbus Day weekend in October. 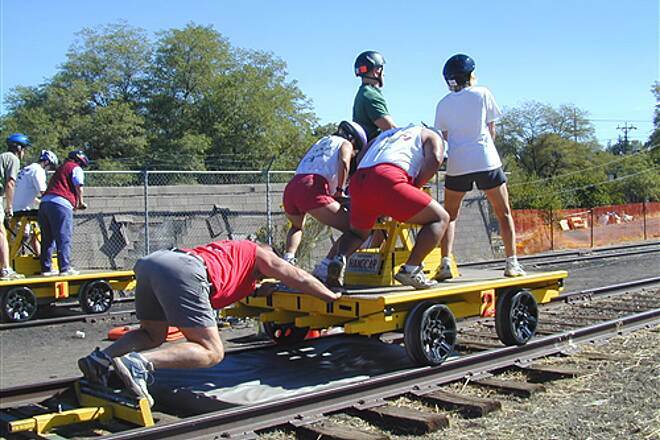 The festival, which raises funds to support the region's trails, includes live music, chili cook-off competition, railroad handcar races and other fun family activities. 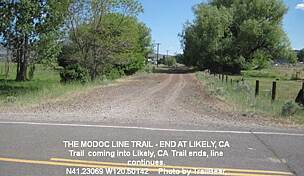 Take Highway 36 to Westwood, turn north onto Lassen County Road A-21 and continue 3 miles to County Road 101 (just before the railroad tracks). 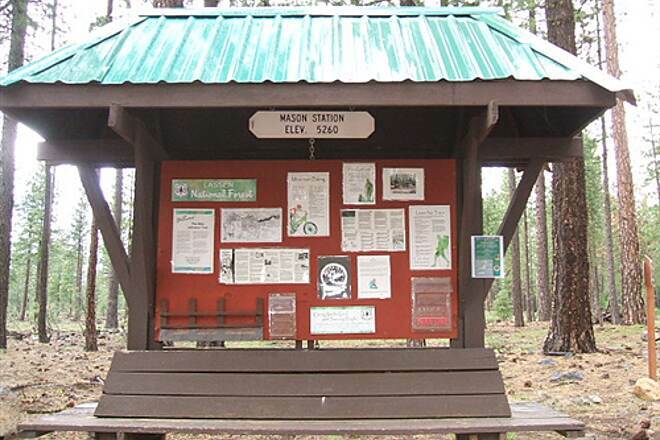 Follow County Rd 101 0.5 mile until you reach Mason Station trailhead. There is ample parking at the station. You will see a large sign with trail brochures near a restroom and the trailhead. 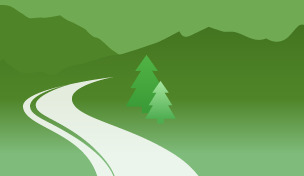 Follow the path from the trailhead for 0.25 mile until you reach the railroad grade. 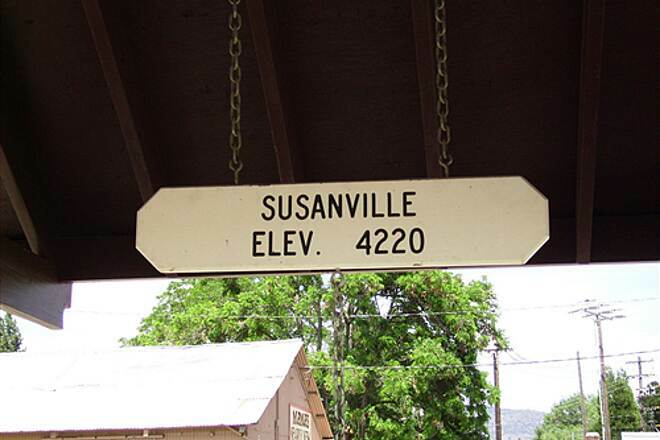 To reach the Susanville Depot, follow Highway 36, which becomes Main Street in Susanville. Continue on Main Street through Historic Uptown Susanville to Weatherlow Street, at the base of the hill. 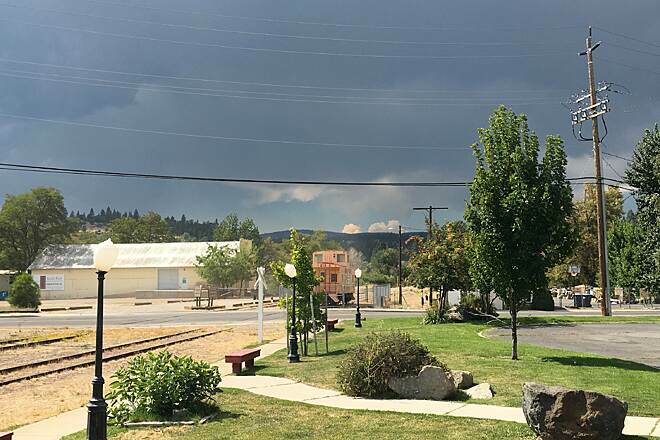 Turn right on Weatherlow (which becomes Richmond Road) and continue 0.5 mile to the Susanville Railroad Depot Trailhead Visitor Center, where you can park. The trail begins at the depot. The scenery, bridges and tunnels were awesome. The trail, regrettably, has a fare amount of 3/4 to 1 inch gravel laid down as repairs. Makes for a rough ride in anything short of a mountain bike. It is a shame that, at least, the canyon section is not paved. 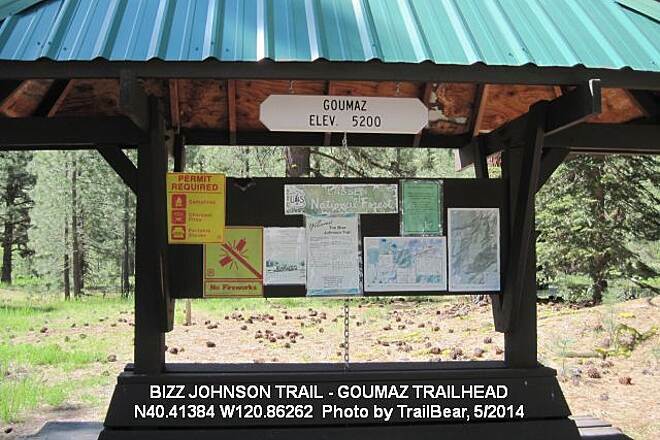 I camped at Goumaz campground, the halfway point on the trail. From there I went south to Susanville and back. 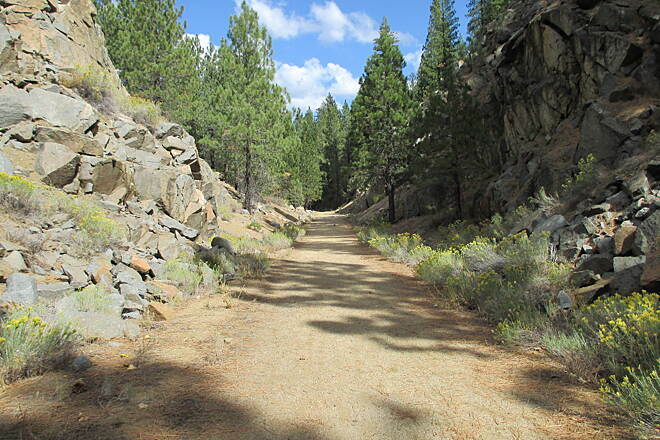 The trail is easiest from Westwood going south to Susanville as it's all downhill. Coming from Susanville, it's a steady 2-4% grind pretty much all the way to Westwood. The trail surface is hardpacked granite. I rode it two days after heavy rains and the trail was dry. I was on a rigid bike with 700x38 tires. Anything from 700 x 35 on up should be fine. Mountain bikes would be more fun as there are side trails to explore and the bigger tires give more cushion against the bumpy surface. Beautiful scenary. 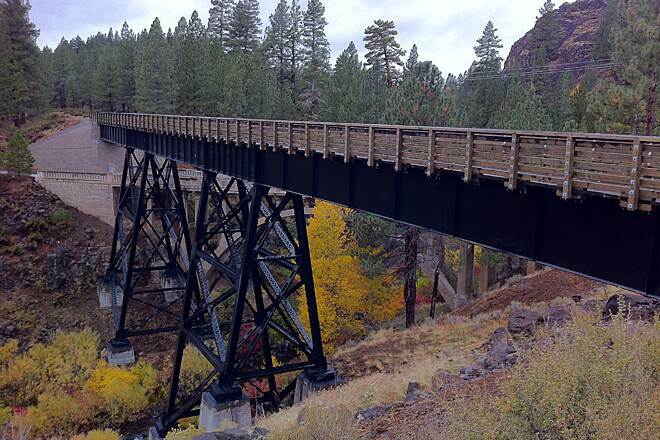 The Devils Corral trestle is really neat, you're up high looking all over the area. 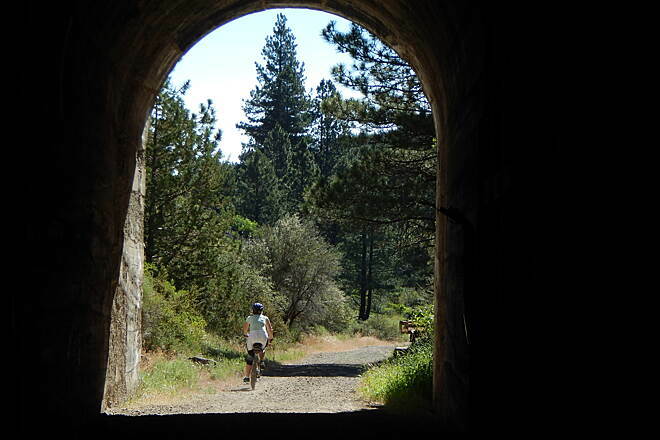 Most of the trestles along with the two tunnels are on the portion of the trail south of Hwy 36. Restrooms? 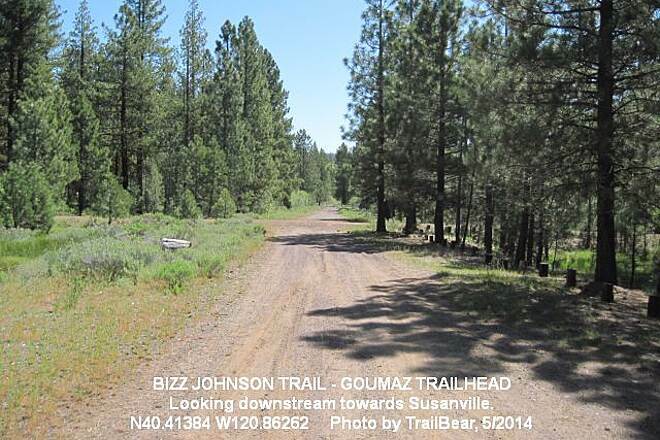 There's one less than a mile out of Susanville, and the next one is a Goumaz campground--so plan accordingly. And about those shuttles--they aren't reliable. I met the BLM fellow that maintains the trail and he showed me where the bus stop was so I could shuttle up to another road closer to Goumaz to get back to camp. The bus never showed up, so, have a Plan B ready. Water? The stream, so bring a filter and pump water if you need too. Lots of nice places to stop with benches to sit on too. Bring a camera as the scenary is spectacular. We just did much of this trail. We had considered taking the bus and beginning in Westwood so it would all be down hill. But we began on a Sunday when there is no bus. 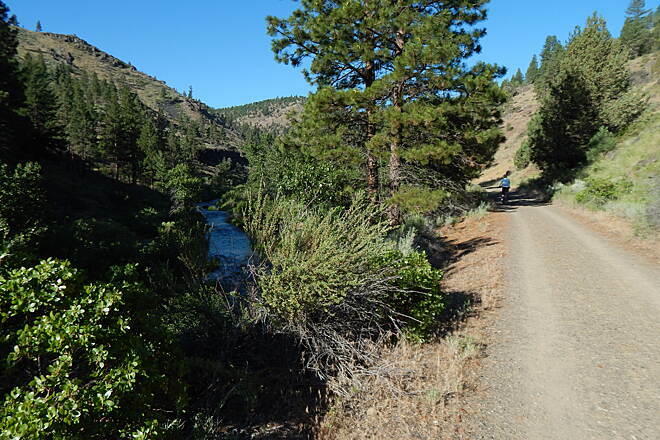 So we started in Susanville and the trail seemed great for a few hours. Then it got steeper and the surface a little more difficult. We road to where the trail crosses Hwy 36. A very nice ride. Here we turned around and went back to Susanville coasting downhill for quite a while. The next day we drove to the parking lot at Hwy 36 and went toward Westwood to do more of the trail. This was a mistake. The surface is very soft with some rocks. Even walked through some sand in places. And the steepness became much more noticeable. We were even against the wind. Went on for a few hours and decided it was beautiful but a little more work than we were interested in. So we turned around at the Goumaz campground. Downhill the surface is not a problem if you are okay controlling in sandy surface. I would do it again when I can start in Westwood. Also we had a minor bike problem at one point and asked a number of people where the bike shop was. They said the old bike shop closed and didn't know of any other. Then we did find someone who knew of a new bike shop. Rooptown bikes on Roop St. They were very helpful. Apparently they were in the phone book white pages but not the yellow pages. Great trail, unlike any I've ever ridden. 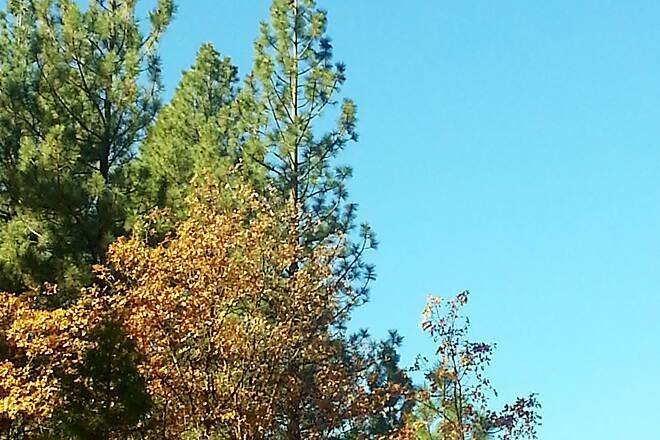 Started in Susanville on a beautiful November day. The caboose trail head has ample parking & an interpretive to give a little background. The trail gets off to a gravelly start but soon turns into a packed gravel/dirt/mixed hard-pack sand surface. Perfect for mountain bikes, hybrids or cross bikes, which is what I rode on this ride - a road bike would be torture. Riding up grade, you can tell you're going up, if barely perceptible, but it isn't too taxing. 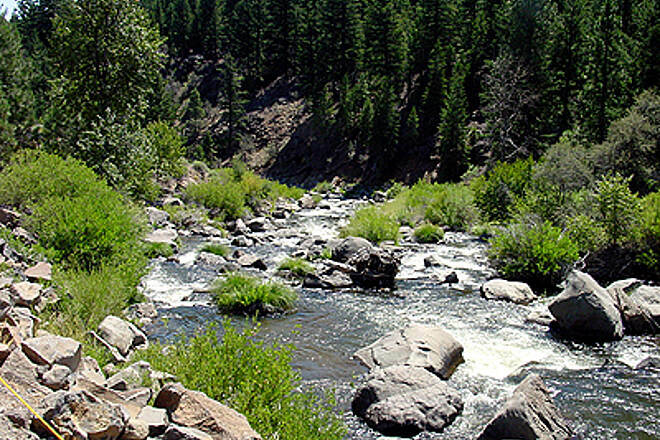 The scenic beauty is great - you have the clear river running alongside, basalt cliffs & rock/boulder fields, hard wood, pine & cedar forests, meadows spreading out here & there. 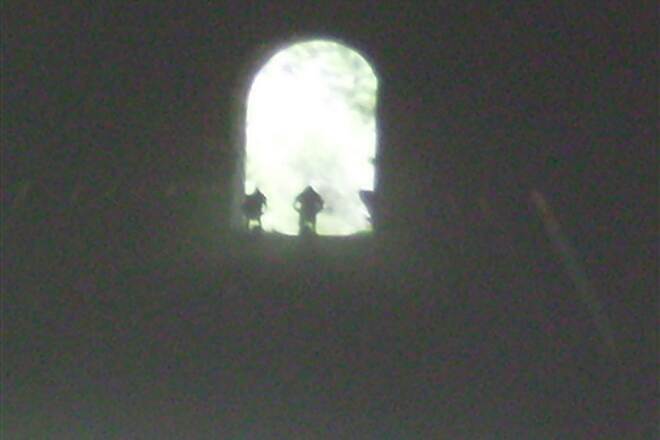 The trail crosses numerous bridges & through two cold, dark tunnels. 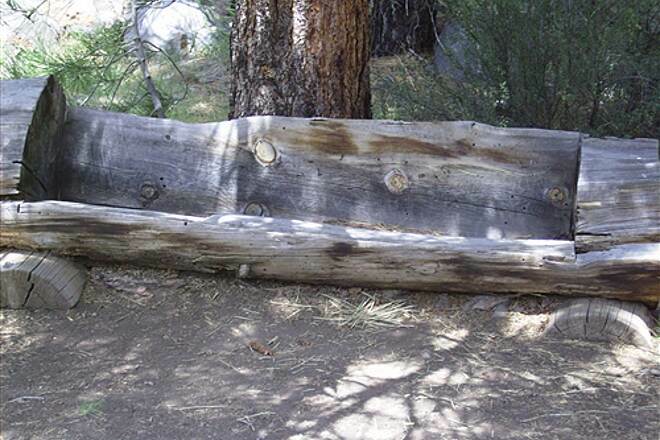 There are plenty of handmade wooden benches to when you want to take a break, lots of paths down to the river if you want to fish or take a dip & mileage markers all along so you always know exactly where you are on the trail. I turned around at the 21-mile mark & then it was back down & you realize that you really were going up hill – it’s a breeze coming back. 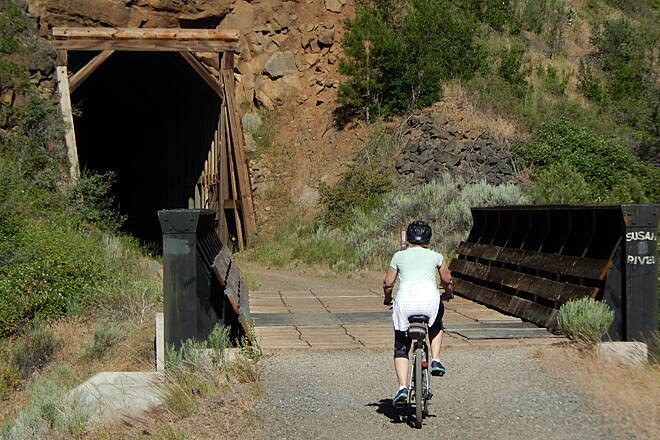 This is a wonderful trail for any type of rider, young or old or anywhere in between. 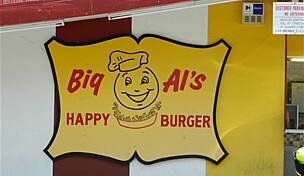 I recommend starting it in Westwood, because it's a 3% (?) downhill grade I believe from that direction. Doable going the other way, but it's not paved, so I preferred downhill. I took the public mid-day bus from Susanville, which dropped me off at a gas station in Westwood. 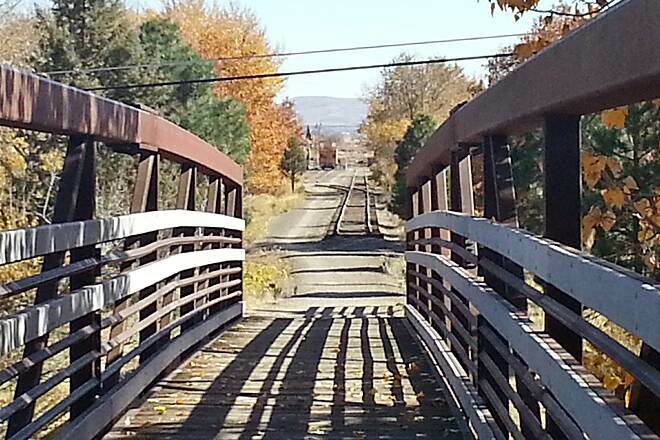 From there, I biked 3 miles to the trailhead and rode the length of the trail to Susanville. Beautiful, remote trail. Loved it! We followed the advice from other reviews and road west to east. 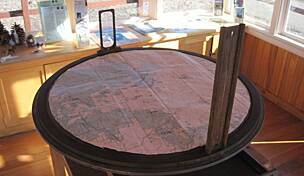 Recommend parking in Westwood close to Shell station (intersection of 38 and A21) if you are staying in Susanville (recommend - nice small Museum, beautiful murals around town, eat at The White House and Pioneer Lodge/Lassen Ale Works). 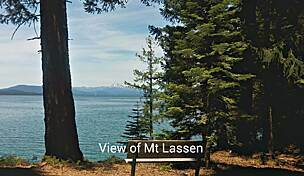 You can then catch the Lassen Rural bus in the early evening to retrieve your vehicle. The path officially starts about 3 miles from this intersection. We drove into Westwood to see Paul Bunyan. The surface is mostly fairly fine gravel and in some places sand but not deep, all very nice surface. The trees are beautiful, and landscape changes along the ways. 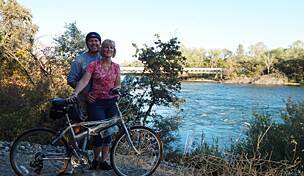 The most spectacular portion is for the last 7 or so miles, riding right along the Susan river; two short tunnels and several tressels. There is one segment, crossing under the road where we did walk since pretty steep and rocky. We enjoyed the whole trail. There is a great place to lunch about halfway at Gaumez with picnic benches and porta-potty.We road the the 3rd week of October and the towards the end of changing of seasonal leaves. 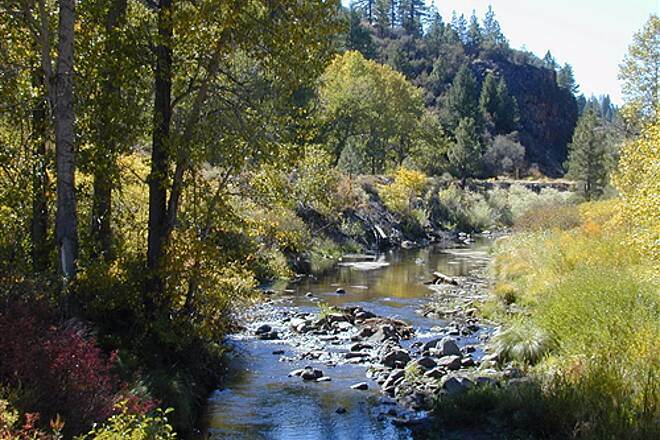 Side note - while in Susanville consider also riding at Ranch Park, a beautiful 27 acre park. 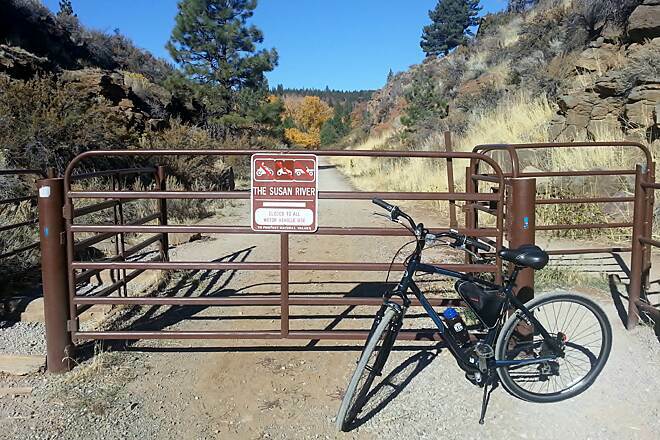 Miles of unpaved trails, both fairly flat and mountain biking. We did a loop of Paul Bunyan to Canyon trail, about 6 miles. 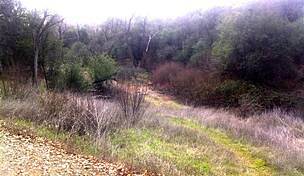 I found this trail on the internet then checked it out on this site. The trail is in very good condition and a very gradual grade. This is a very scenic trail and we were very pleased to have found it. 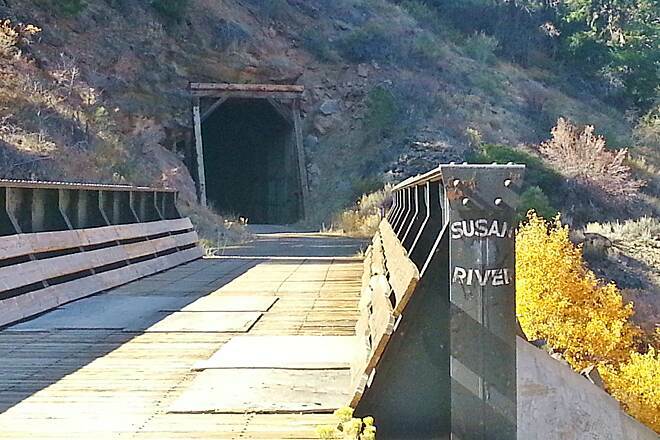 We did about 14 miles R/T from Susanville which had the two tunnels and most of the bridges. 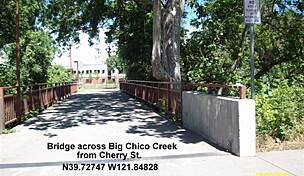 If you are in this area this is a must trail for biking or hiking. We stopped and took many pictures along the way as there is much to photograph. We were there on a Monday so can't say how busy it gets on weekends we had the trail mostly to ourselves only a handful of people were on it. We had views of the Susan River most of the distance. I had ridden this trail for the first time back in July, 2000. We made a Loop from the Westwood junction to where Hwy 36 cuts the trail and then we traveled back up the highway. However, this time we used two vehicle's, one at each end. 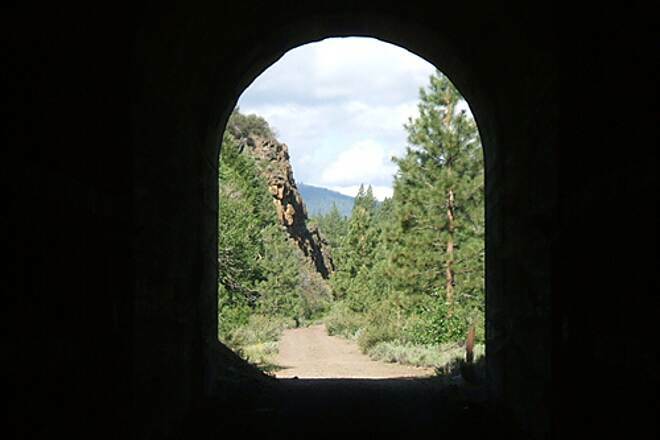 In August of 2010, we made a one-way trek from Westwood junction to Susanville. 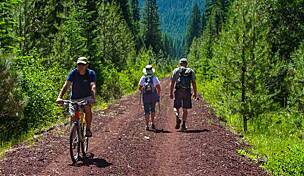 Personally, I think it a great place for an experienced trail rider to introduce a younger/novice rider to a long day on a bike trail. Particularly, if you travel West to East. It's mostly all down hill. Nevertheless, a rider has to maintain the will to reach the end. Also, one can gain an understanding of preparedness. No where on the trail can one just bail...pull into a Starbucks, drink a cafe mocha and wait for the rest to come back with the car. It helps build discipline and commitment. It's difficult to get lost on this Trail. Not many splits to navigate. Very well signed. The terrain is suited for most all bikes. Although, I wouldn't recommend taking an old "ten-speed". But it's not necessary to have "RockShox" forks either. We did encounter a section with small boulder's or large rocks(depending on your point-of-view) that we had to steer clear. All the while, this trail offers some of the wonderful views. Plenty of interesting spot's to stop and take in the scenery. Dip your toe's in the water or jump in ! 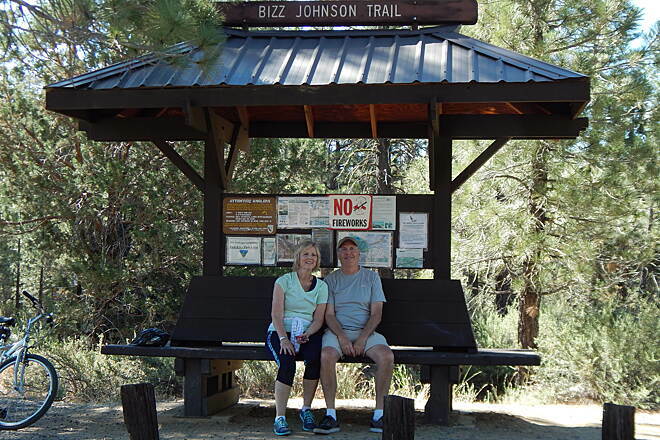 I have ridden the Bizz Johnson Trail many times and have always had a great trip and every time is different. 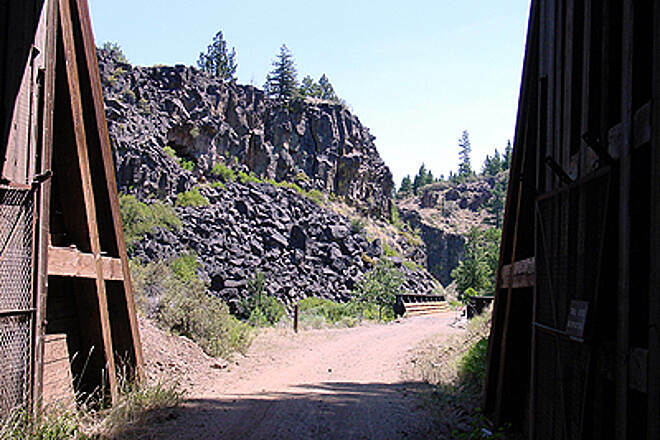 Lassen Country and Modoc County plus the BLM are working of converting the railroad from Weeden to Alturus to a trail system. 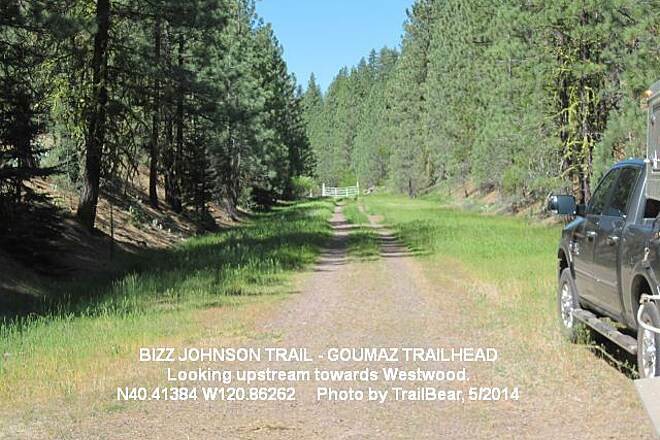 The Bizz Johnson Trail is being pushed east to Weeden. BLM has several bus weekend bus trips from Susanville to Westwood that allows you ride one way.Call 530-257-0456 for details and dates. The trail is gravel and is kept is good condition. It a 25+ mile trip but it is easy and plenty of places to rest. 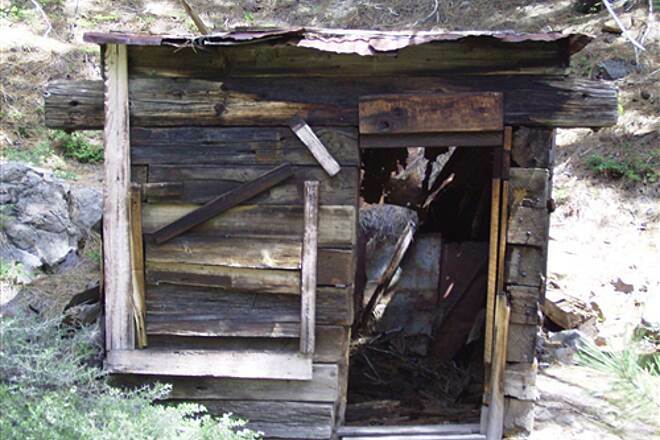 I'm 80 this year and we are planning a trip down the Bizz Johnson Trail so you know we always have a good time. 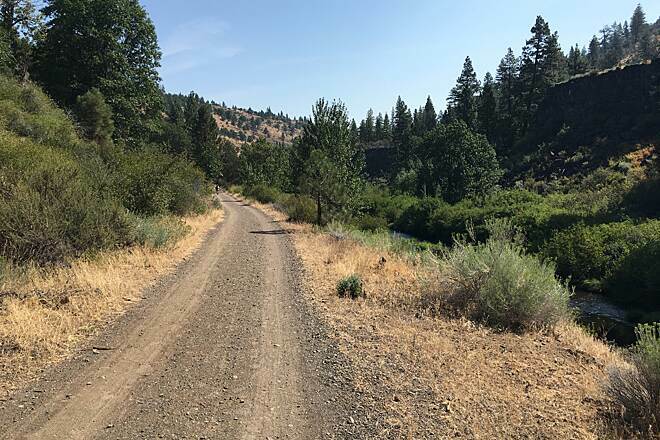 "This trail is listed as difficult, but the 7-mile bottom section is quite easy, and slopes gently down into Susanville. I grew up walking and biking this trail. No sweat even for smaller children on bikes, provided you stop at the great river-side beaches and play. The best part is the two (I think) rail tunnels - perfect adventure for kids. Dark and cool inside. 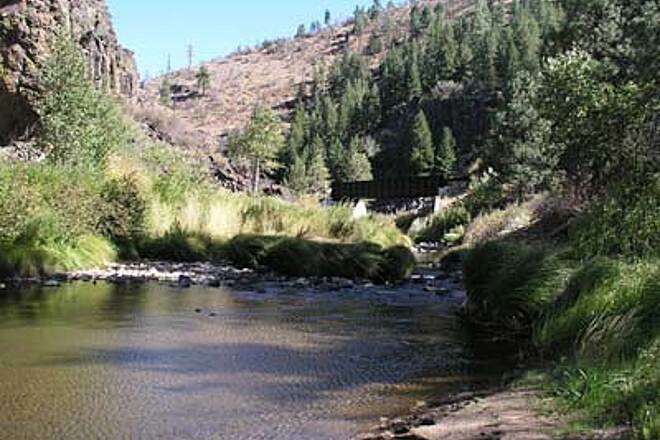 Ask a ranger for directions to the trailhead that is only about 7 miles out of Susanville." 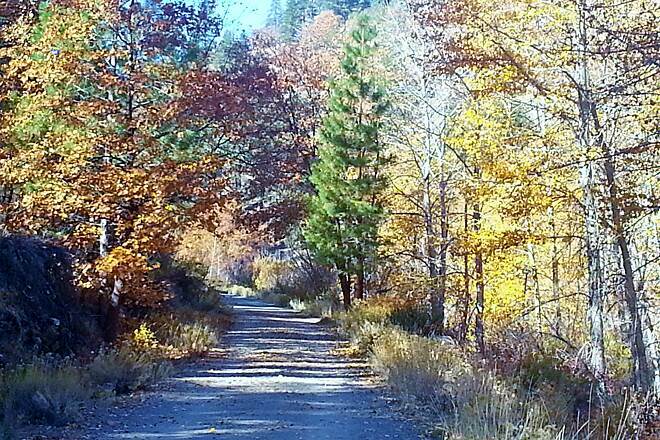 "We rode this trail on a nice Sept. day. Saw 3 people & 3 deer. Started in Westwood, rode to Susanville, stayed overnight and then took local senior citizen shuttle ($3 each for person and bicycle) from BofA back to Westwood the next day. Westwood end of trail relatively flat & viewless. Gravel trail. Then great river views, trestles and tunnels. Novice rider took 8 hours, with frequent breaks and lunch." 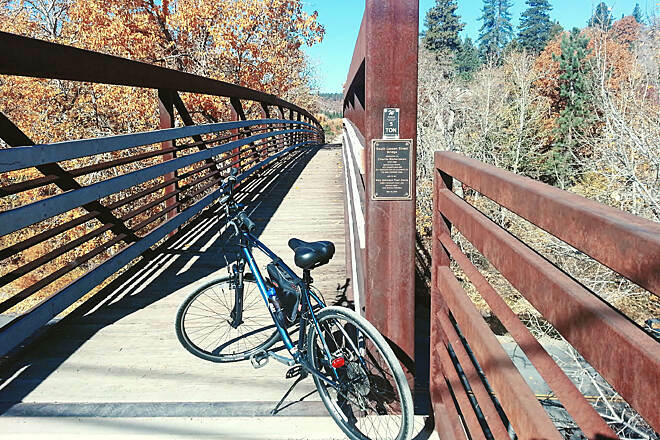 "The heaviest users of this trail are the locals -- primarily mountain bikers. 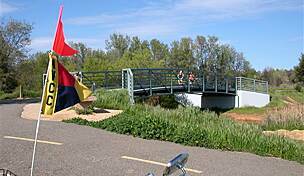 This trail is the town's pride and joy, and every weekend the route is filled with people. 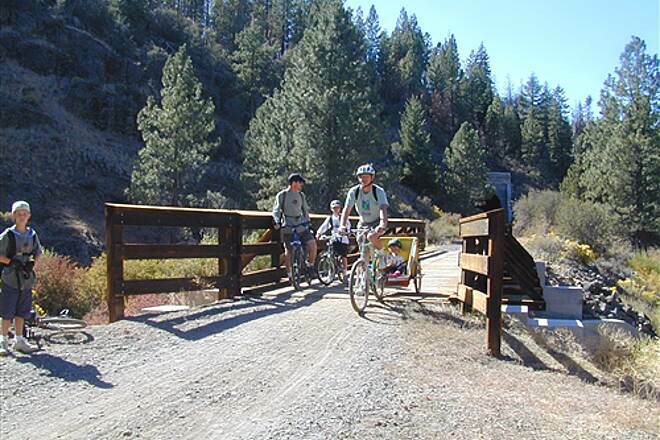 The local bus company will provide transportation for you and your bike from Susanville to Westwood so you can ride back in the downhill direction (average 3% grade). BLM sponsors guided rides several times per year where lecture stops talk about the natural and logging history of the area. The fall color ride this year (2003) was fantastic -- the best color in years. 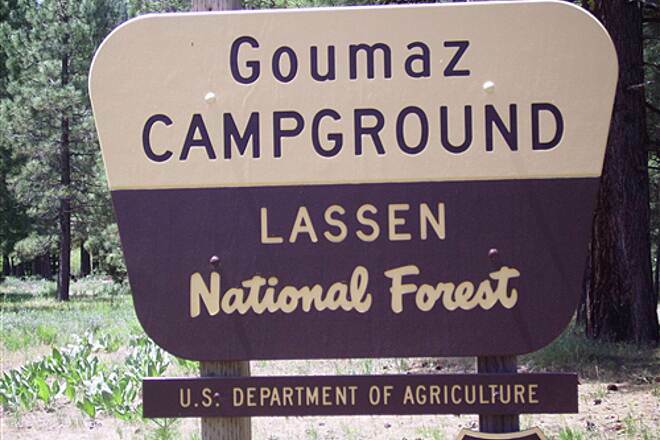 There is a Forest Service campground with potable water about halfway at Goumaz. The trail is snowcovered during the winter months, but the skiing and snowshoeing is good also." We rode the Bizz Johnson in mid October. The temperature was pleasant and the colors great. 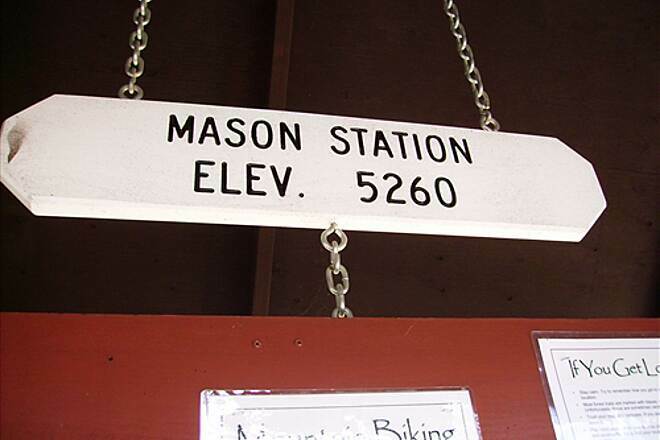 We rode from Susanville (uphill) to the Mason trailhead and back. Leaving the Mason trailhead we took a forest service road part of the way back till we junctioned with the trail which we rode the rest of the way. It took us a little over 7 hours at a leisurely pace. I think this trail rates right up there with the Route of the Hiawatha. 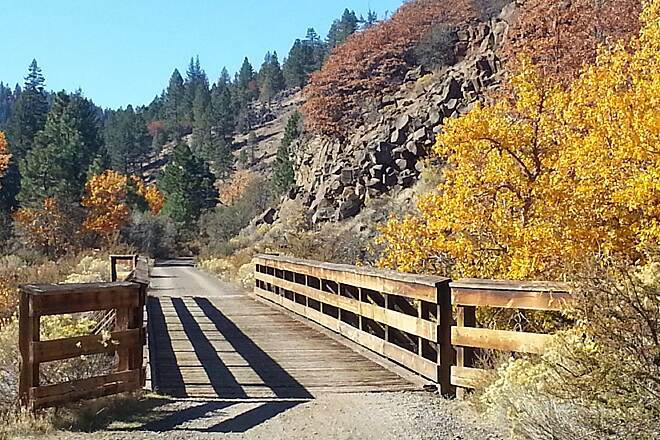 "We biked the trail (from Mason Station Trailhead to Susanville) on October 11 and the Fall colors were wonderful. 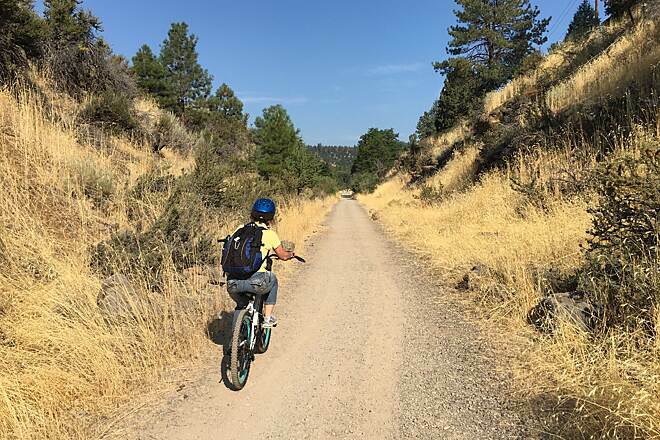 While we are glad that we did the entire trail once, the next time that we bike the trail we will start at the highest elevation point and bike down to Susanville. 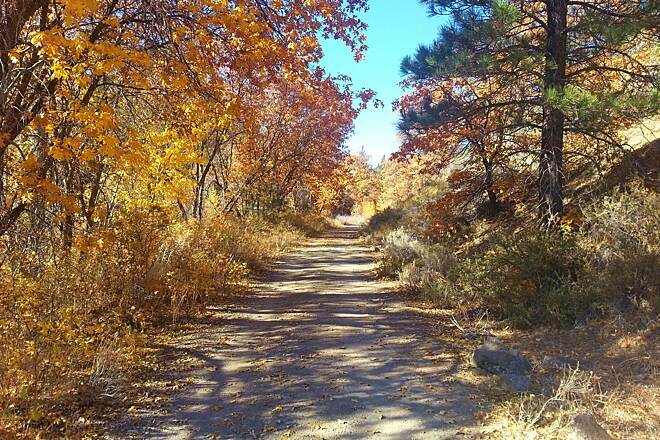 "I took this trail with a group of my bike riding friends last summer. 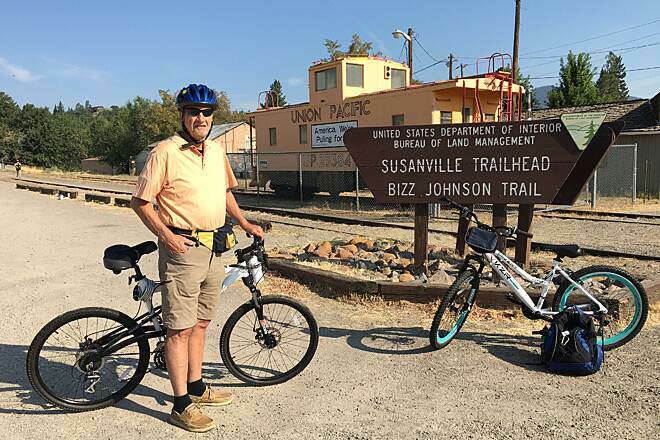 We rode from Westwood to Susanville. It was WONDERFUL. Beautiful scenery, quiet, tunnels to ride through, bridges to cross. Just a super nice trail. Thanks to RTC for this one. "